“You’ve got it! You’ve got this!” Spartans yelled up to their friends climbing a wooden ladder. They’re drenched in mud, probably have rope burn on their hands, and roar as they push monster truck tires. 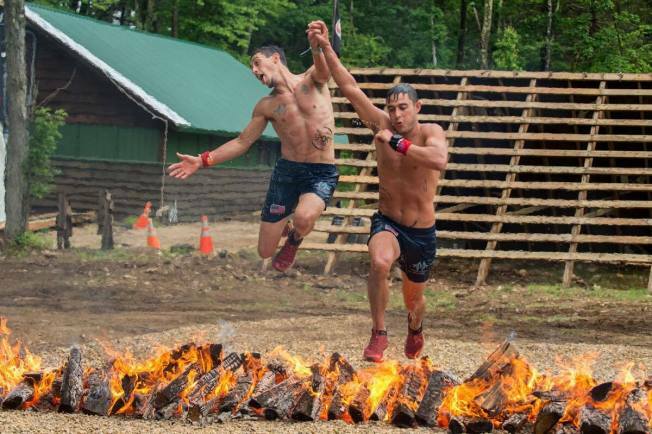 The “Boston Sprint weekend” in Rutland, MA had competitors hitting a grueling obstacle race course. Contestants jumped through fire, crawled under barbed wire, scaled walls, and conquered many other obstacles. The weekend featured the Spartan’s signature three-mile “Spring” with more than 20 man-made and natural obstacles along the Treasure Valley Scout Reservation. A second race for kids as young as four also took place. The event also features the Spartan Kids race for boys and girls as young as 4. A Spartan race is a series of obstacle course races across an array of distances. They’re currently held worldwide, and have more than a million participants registered for 2017. Another race is coming to Fenway Park November 4-5.